Some people like to dust; other people hate it. If you’re looking around your house or business and you’re noticing more dust than normal, your HVAC system may be to blame. It may not even be dust that’s collected on furniture; you may see more “dust bunnies” in new places. If dust irritates your respiratory system, you may find yourself sneezing and coughing more. You may simply be sick more often. Too many people live with dust and don’t do anything about it. The good news is, the team at Tippetts Mechanical is here to free you of the sneezing, coughing, and constant dusting. At Tippett’s Mechanical, we’ve worked in HVAC long enough to understand the impact dust can have on people’s lives. In today’s blog, we are going to share reasons why your house may be dustier than usual. Good ductwork is sealed up against dust, but over time, it wears out and ducts develop cracks. 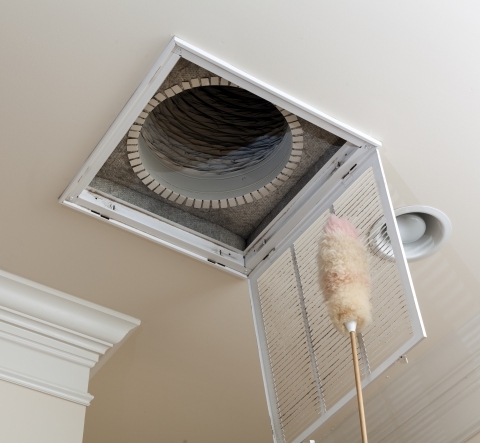 Dust gets into the ducts, circulates through your home, and back into ductwork. Eventually, your ducts become endless sources of dust. If you notice you can’t defeat your home’s dust, it’s probably time to give your Las Vegas HVAC experts a call. 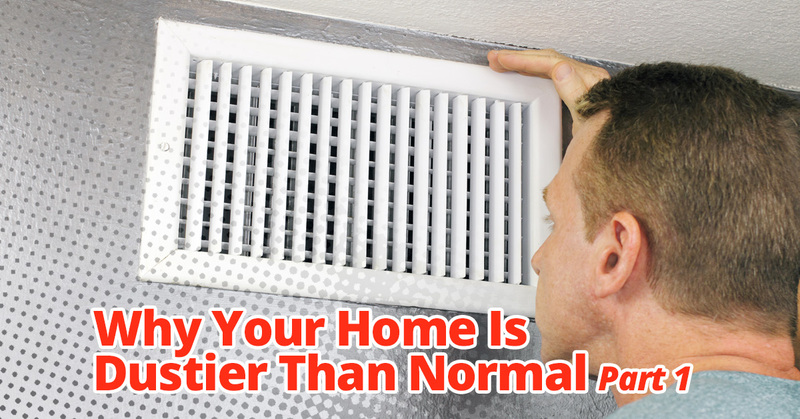 We can check your system’s air filters and check the ductwork for leaks. Not only that, we can fix the leaks too! By that, we mean that the winds in Las Vegas can really pick up. If your home’s weatherstripping has any leaks, dust will be blown into your home. Crawlspaces are also a trouble spot, because people expect them to be dirty and don’t realize how much of that dirt gets up into their homes. If you have leaks in your home’s shell, it’s usually not a dramatic enough to notice right away, but it can have a significant impact on your home over time. As the temperatures start to fall in Las Vegas, people will be closing up their windows to stay warm. While this can keep new dust out, it can end up trapping you in your own miniature dust bowl. Don’t let this happen. Whether you’re worried about your home or your business, we can help you. We have extensive experience with dust’s ability to everywhere, and we understand what a huge impact it can have on your quality of life. Contact Tippetts Mechanical and let us help keep your air clean and healthy!